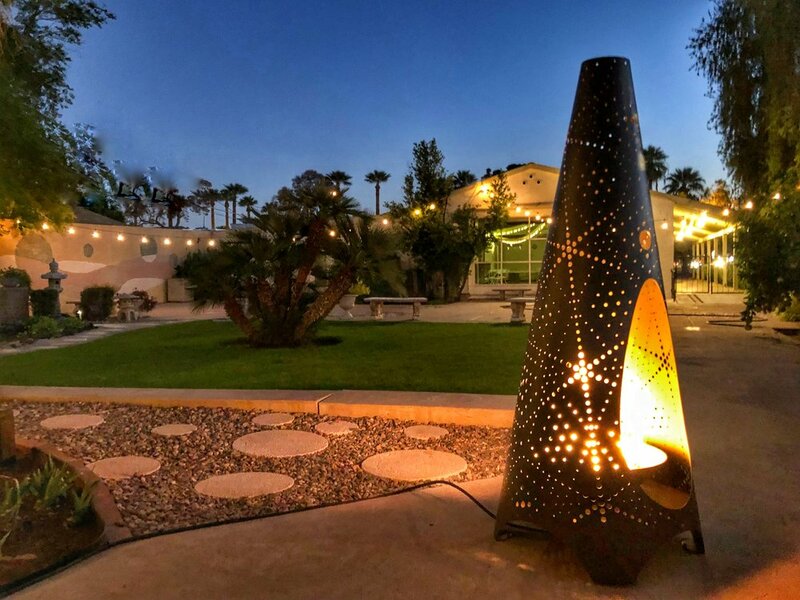 For me Modfire has always been about creating timeless iconic designs that function more as art objects that look stunning at rest, but once ablaze they are truly magical. 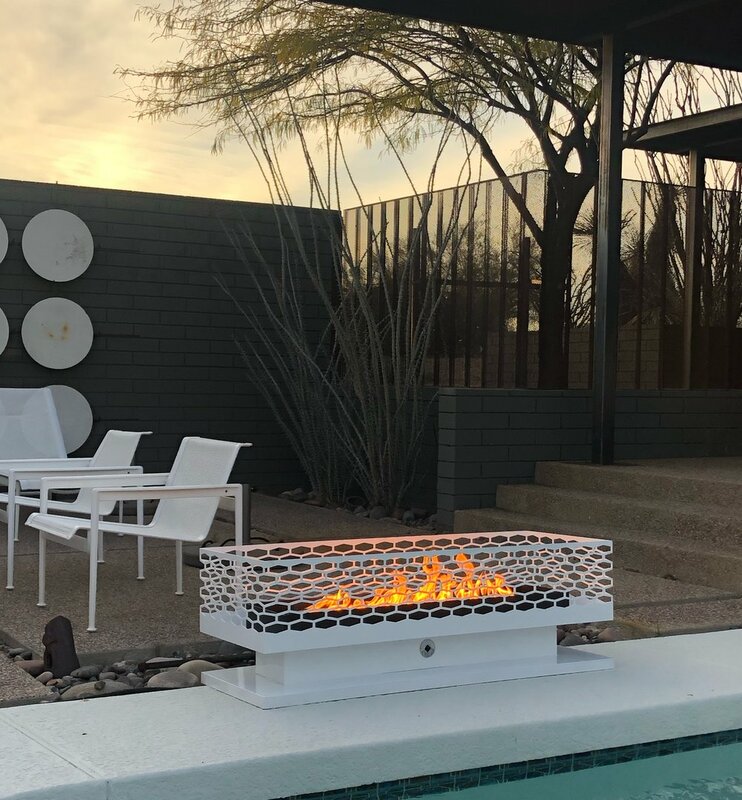 The Boxfire was a huge design challenge to create something rectilinear that wasn’t a tired rehash. I tried to embody a lightness and elegance to the design and am really pleased with the result. I hope you are as well. I had this all set up the night before, ready to shoot and forgot the key to the key valve that controls the gas so I had to wait a full 24hrs to get this image, but it’s so good! 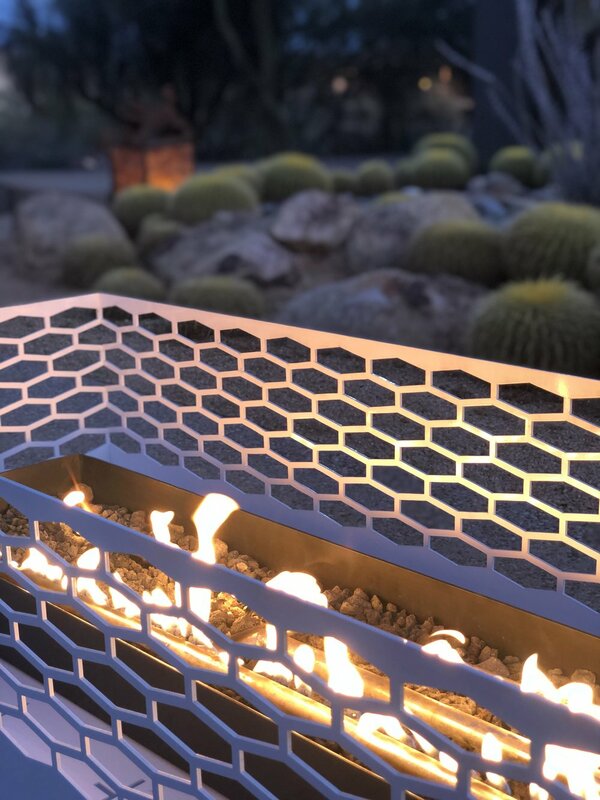 These are some of the highlights of this remarkable space, the Boxfire felt really right on this ledge. And then that moment when your buddy takes a pic, of you, taking a pic of your fireplace. Thanks Geno! 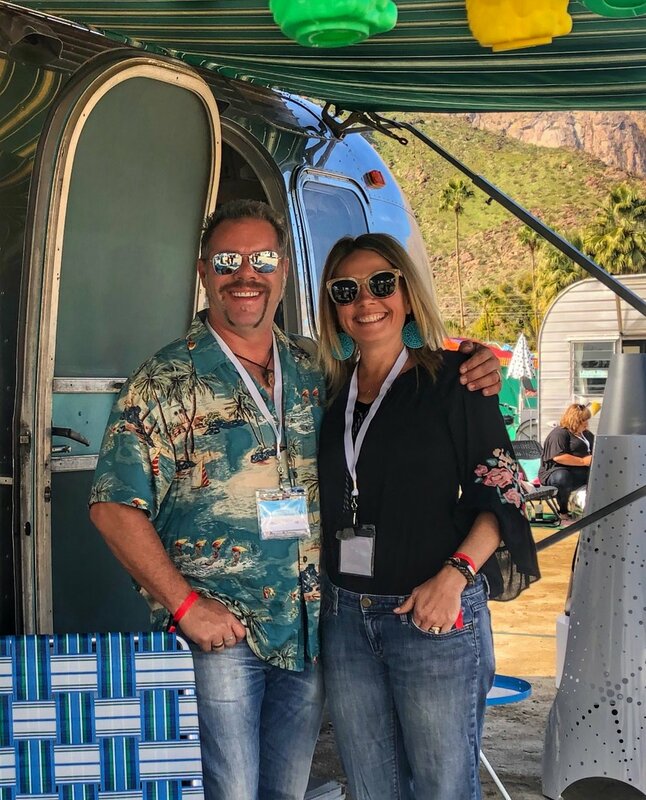 What do you do when your 1970 Airstream Ambassador is already in Palm Springs? You score a spot at the Vintage Trailer Show to feature your mostly original Airstream and ModFire fireplaces.! We were super blessed to get a spot as they fill up waaaay in advance, but they loved ModFire and with only 36 hrs. We hustled back to Phoenix to grab our fireplaces and headed back, with some cute pillows and rugs for our trailer Rosie of course! The weather was perfect to feature our fireplaces actually burning, a nice treat and we got a ton of ModFire love. If you gotta warm your bums, do it in style! This was my kind of show, I even busted out the vintage Hawaiian shirt for the occasion. It brought together some of my favorite things and gave Marne and I another weekend to work/play together. Pretty awesome, thanks for sharing in our adventure. Until 2020 keep your trailer rubber side down and the flames on your fireplaces burning. 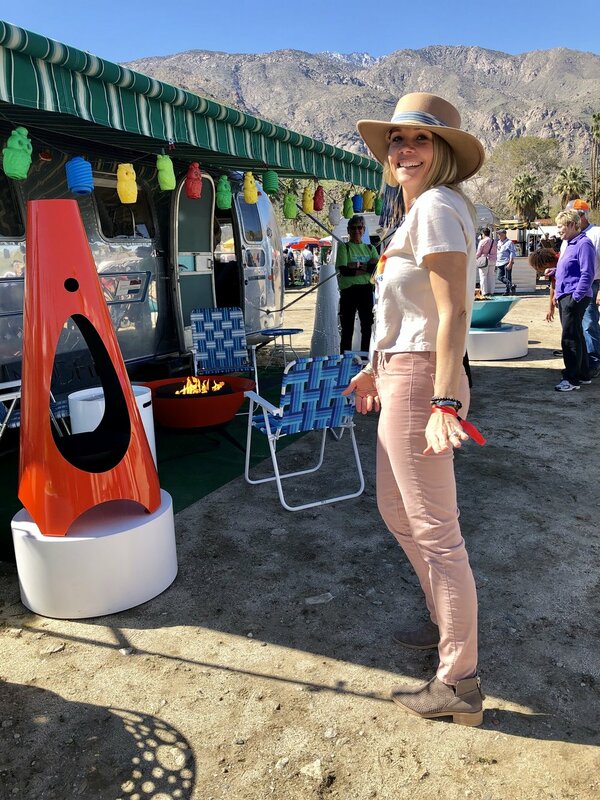 Once again Modfire makes the pilgrimage to the Mecca that is Modernism Week in Palm Springs. It’s a phenomenal concentration of Mid-Century style and a wonderland of eye candy bringing in people from all corners of the globe. 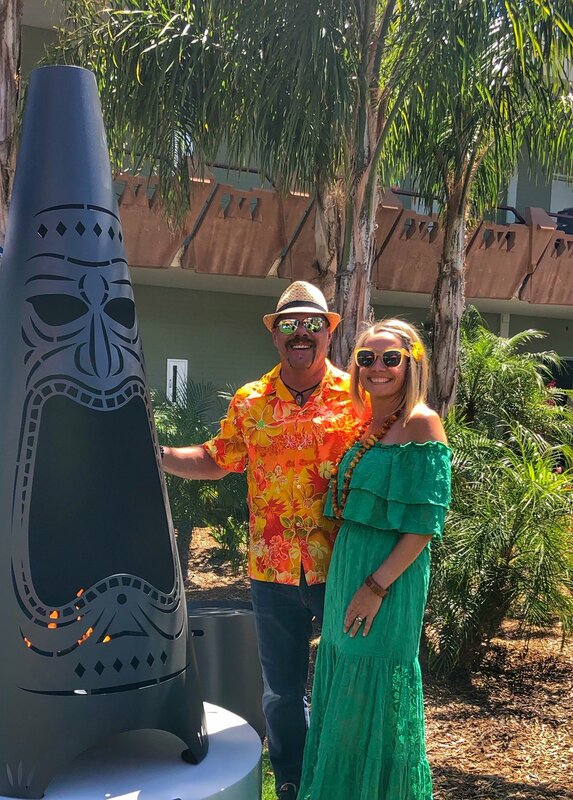 This is the look of two people sliding out of town to work at Modernism Week...Without their kids. Game faces, channeling our inner Freddie Mercury and Audrey Hepburn. So pleased with this Tribalfire in crisp white! Booth looks amazing this year! 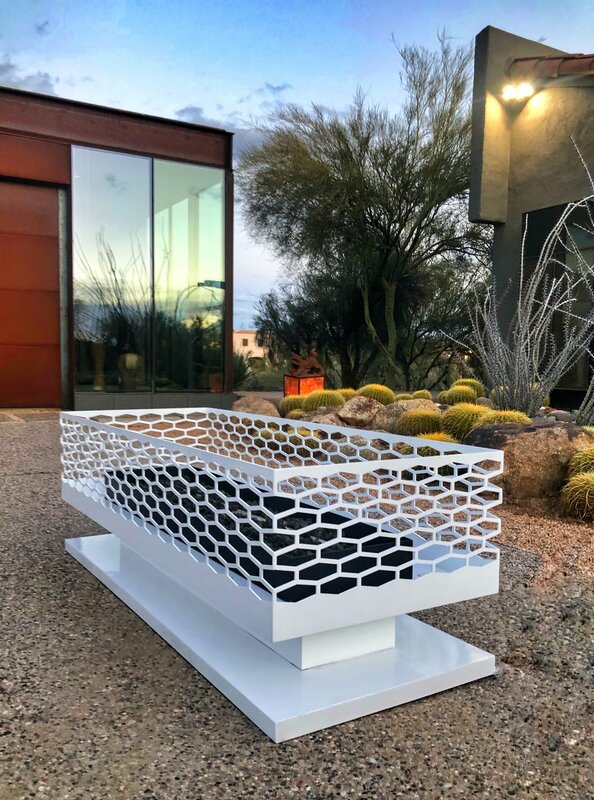 I always do a new design for Modernism Week and this design is lucky number seven. Say hello to the Boxfire. 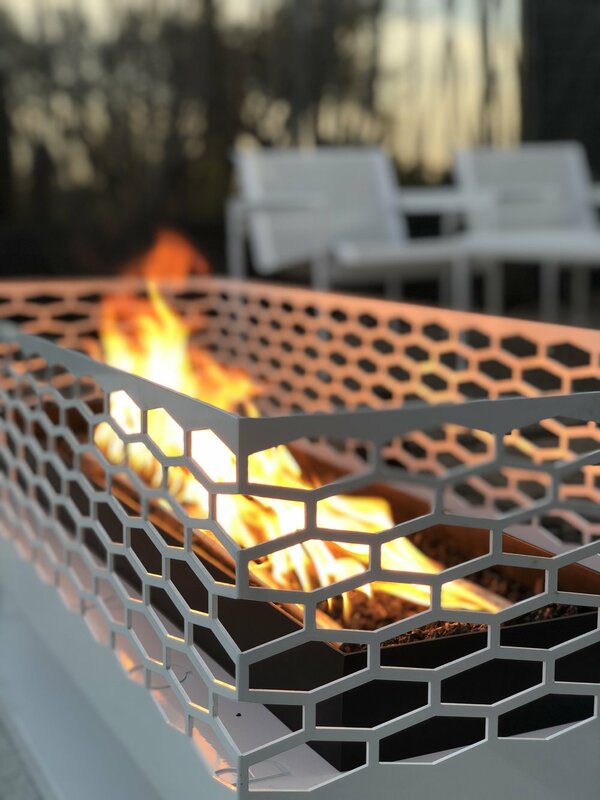 The Boxfire shares the same DNA as our entire Modfire line and its great design solution for long, linear spaces. This girl is on point with that outfit. My lovely assistant/wife Marne makes it look easy! We are pleased to announce the launch of our shiny new website! The store is finally set up and is ready to take orders, so shop away!